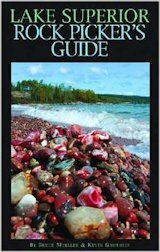 About 35 miles south of Lake Superior Provincial Park you encounter the Pancake Bay-Batchwana Bay region offering opportunities for picnic stops and extended stays. 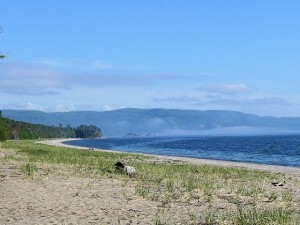 Pancake Bay Provincial Park offers an expansive sand beach and 325 camping sites, including 160 with electrical hookups. Most sites have a view of the lake or catch a nice breeze off the lake (worthwhile during the buggy season or when it is hot). A little further down the road is Batchwana Bay Provincial Park, a day use only park, that also offers an expansive sand beach for swimming, sunbathing, and beach combing. About 7 miles further down the road is the Chippewa River rest stop where you can see the falls from the bridge. From the wayside picnic area, there’s a hiking trail leading to the top of falls and beyond. There are a number of motels and places to eat along this stretch of the road. From the Chippewa River rest stop it is about 30 miles to Sault Sainte Marie. Along the popular River Walk of the St. Mary’s River that joins Lake Superior and Lake Huron. The Ontario Sault Ste. 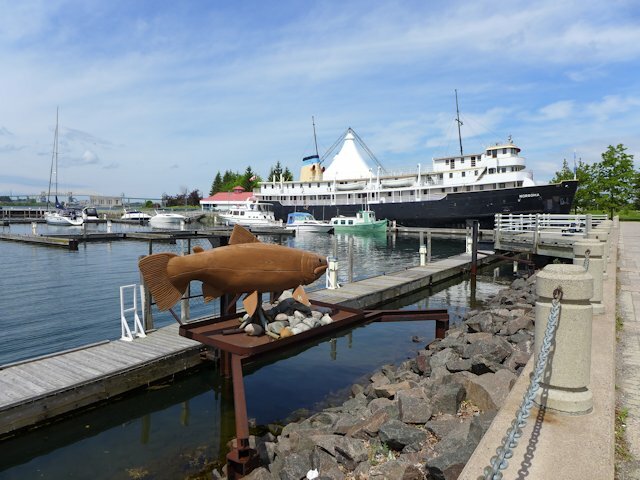 Marie is one of the three larger cities on Lake Superior (along with Duluth, Mn and Thunder Bay, Ontario). It is also one of the oldest communities in the upper midwest. Like Duluth and Thunder Bay, Sault Ste. Marie has a lake walk – only in this case it is more accurately a river walk. It extends 1.5 km from Canal Drive to the Civic Center. The “Soo” has a number of quality chain motels with familiar names: Best Western, Comfort Inn, Days Inn, Holiday Inn, Super 8, Travelodge, etc. As it is five times the size of its US twin, it offers many more lodging, dining and entertainment choices. Your first stop after crossing the bridge should be at the tourist information center (turn right on Huron St. and go towards the river). Nearby are a number of attractions in the downtown area along the river front. Plan to spend at least 2-4 hours along the Boardwalk and Canal-Locks Park. You’ll need a whole day if you do the Agawa Canyon Tour train. St. Mary’s Island Nature Preserve and Hiking Trails. 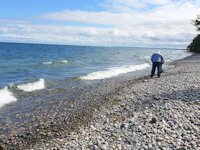 When in the Ontario Soo area, the campground we most often use is Point Des Chenes Park about 10 miles west of the city on Whitefish Bay. Two other camping facilities are at the northern edge of the city off highway 17, including the KOA campground which we also recommend. The Roadhouse is several miles west of town on Highway 550 near the International Airport. We stopped there because we were camping nearby at Point Des Chenes. If you cross the International Bridge on a weekend or holiday, be aware you could easily require a half hour or more just to go a few miles. One bonus of the delay is that you have time to get a nice aerial view of the locks and the river!